Since its beginning in 1914, our firm has served the legal needs of Whatcom County businesses and individuals. Carmichael Clark’s practice and commitment to serving the legal needs of those in Whatcom County are deeply rooted in the firm’s long history. The firm was established in 1914 when R.B. LeCocq opened his practice in Lynden. At that time, Mr. LeCocq became the City Attorney for the City of Lynden. 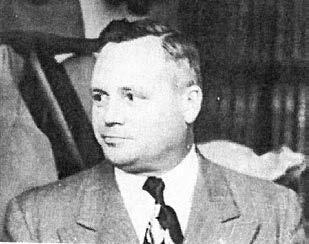 Einar Simonarson joined Mr. LeCocq in 1937 and they practiced together for decades for the rest of their careers. In the 1970s, the firm added two partners who remained with the firm the rest of their careers. Pete Jay Visser re-joined the law firm in 1974 and continued as Lynden’s attorney after Mr. LeCocq’s retirement. Pete continues to practice of-counsel to Carmichael Clark in Lynden. Dan Zender joined the firm in 1976 and practiced continuously with the firm until his retirement in 2007. Hal Thurston joined the firm in 1980, after moving to Whatcom County from the East Coast. Mr. Thurston led the firm’s insurance defense practice and other civil litigation cases. He retired in 2013. In the early 1980s, the law firm opened its office in Bellingham. The firm added several attorneys in the 1990s who are still partners today. In 1990, Loch Clark joined the law firm after 10 years of private practice in Bellingham. Since that time, Loch expanded the law firm’s business, commercial, and creditor-debtor practices. In 1992, Bob Carmichael joined the firm from the Whatcom County Prosecutor’s Office, and has since grown the firm’s land use and municipal law practices. Former attorney Philip H. Brandt becomes a federal bankruptcy court judge for the United States Bankruptcy Court for the Western District of Washington. 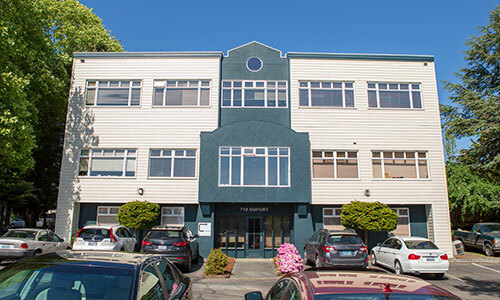 The law firm moved from its old Bellingham location in the Copper Building to its current location at 1700 D Street. Our firm becomes Visser, Zender & Thurston P.S., which it would be known as until 2002. In 2000, Greg Greenan joined the firm from the Whatcom County Prosecutor’s Office and became a partner in 2004, focusing on litigation matters. The firm changes its name to Zender Thurston, P.S., which it would be known as until 2014. Longtime partner Deborra Garrett is elected and takes the bench as the first female judge for Whatcom County Superior Court (and leaves the firm). In 2014 the law firm changed its name from Zender Thurston, P.S. to Carmichael Clark, P.S., after its most senior principals Bob Carmichael and Loch Clark. The firm is recognized as the largest law firm in Whatcom County.